The military was quick to see the advantages of railways in warfare, whether for the rapid deployment of men or the movement of heavy equipment like artillery. From here it was a short step to making the train a potent weapon in its own right a mobile fort or a battleship on rails. Armed and armoured, they became the first practical self-propelled war machines, which by the time of the American Civil War were able to make a significant contribution to battlefield success. Thereafter, almost every belligerent nation with a railway system made some use of armoured rolling stock, ranging from low-intensity colonial policing to the massive employment of armoured trains during the Russian Civil War. And although they were somewhat eclipsed as frontline weapons by the development of the tank and other AFVs, armoured trains retained a role as late as the civil wars in the former republic of Yugoslavia. 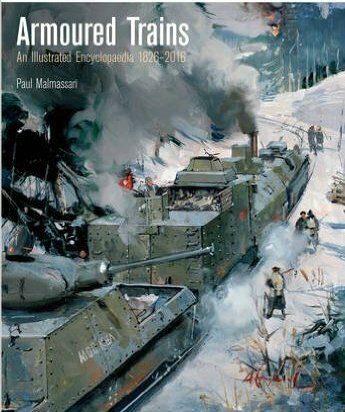 This truly encyclopaedic book covers, country by country, the huge range of fighting equipment that rode the rails over nearly two centuries. While it outlines the place of armoured trains in the evolution of warfare, it concentrates on details of their design through a vast array of photographs and the author's meticulous drawings. Published in French in 1989, this highly regarded work has been completely revised and expanded for this English edition. It remains the last word on the subject.